Many Americans remain uncomfortable with electing a president who doesn’t believe in God, as evidenced by a recent Pew Research survey. Asked about a list of traits and how each would impact their likelihood of supporting a presidential candidate, about half (53%) of Americans said they would be less likely to support an atheist. No other trait, including being gay or having never held elected office, garnered a larger share of people saying they’d be less likely to support the potential candidate. But some of the stigma associated with atheists may be fading as the number of U.S. adults self-identifying as atheist or agnostic rises. Even though roughly half of Americans say they’d be less likely to support an atheist for president, that number has gone down since 2007, when six-in-ten Americans (61%) said the same. While none of the 43 men who have served as U.S. president has ever claimed to be an atheist, two (Thomas Jefferson and Abraham Lincoln) had no formal religious affiliation. 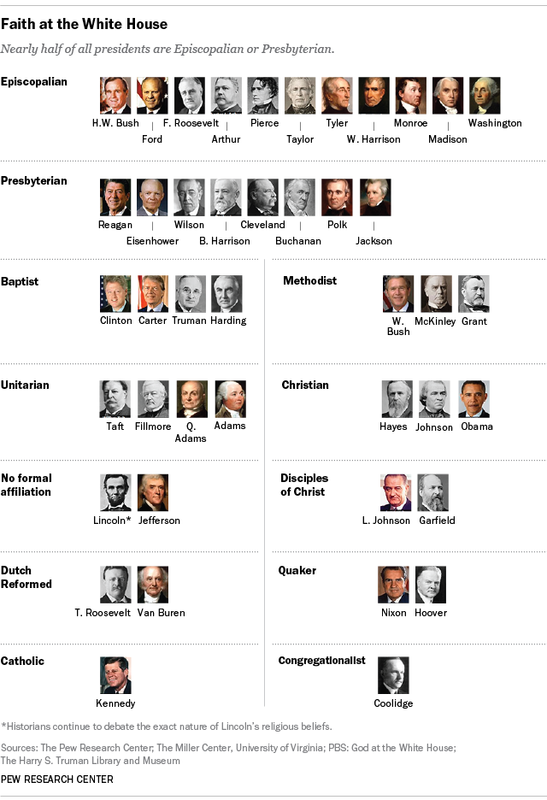 The remaining presidents have either formally affiliated with a church or claimed to be Christians. Much has been written about the growing share of Americans who do not have a particular religious affiliation, but even this group is not completely comfortable with an atheist president. Among the religiously unaffiliated in our new survey, twice as many Americans said they’d be less likely to support a candidate who does not believe in God (24%) as said they’d be more likely (12%). A majority of this group (64%) said it wouldn’t matter. While the religiously unaffiliated include atheists and agnostics as well as those who say they have no particular religion, there were not enough people who self- identified as atheist or agnostic in the new survey to analyze their responses separately. In several other countries, being an atheist or an agnostic has not been a hindrance to winning national elections. While the religious beliefs of many world leaders are not always available or difficult to confirm, at least 10 democratically elected current heads of state or government are self-described atheists, agnostics or nonbelievers. That includes President Francois Hollande of France, Prime Minister Elio Di Rupo of Belgium and President Milos Zeman of the Czech Republic. In addition to other examples from Europe, President Michelle Bachelet of Chile, President Jose Mujica of Uruguay, President Park Geun-hye of South Korea and Prime Minister John Key of New Zealand have described themselves as atheists or agnostics. Note: This post has been updated using presidential profiles contained in a PBS resource entitled God in the White House. Andrew Johnson, Rutherford Hayes and Barack Obama were reclassified as Christians from unaffiliated, Methodist and United Church of Christ, respectively.